“Poppy II Orange” painting by artist Jackie Jacobson is transformed into beautiful ceramic tile art coasters. 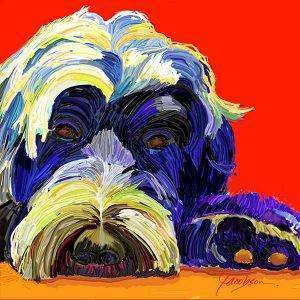 The popularity of the poppy, continues to spark new paintings and coasters. The soft translucent petals are the perfect subject for a Jackie Jacobson painting. 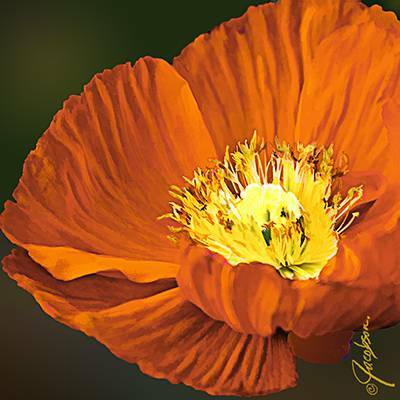 Poppy II Orange, the fourth in the series of poppy paintings, has been added to Tile Art coasters for home or office. 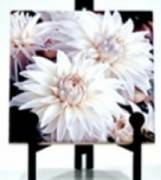 Display your coasters on an easel as a fine art painting on tile. At dinner – move the coasters to your table for a colorful floral display. Tile art for your kitchen back-splash is a unique display of art and color.